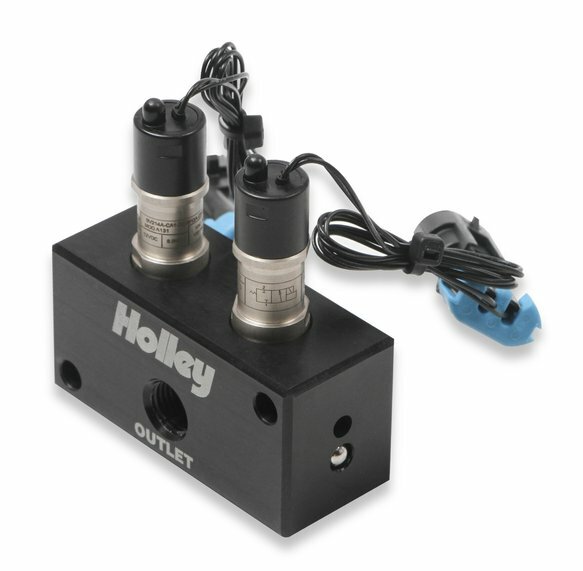 When selecting solenoid configuration in the Holley EFI software, use the Dual Holley drop down selection. Introducing the newest development from the Holley EFI engineering team. 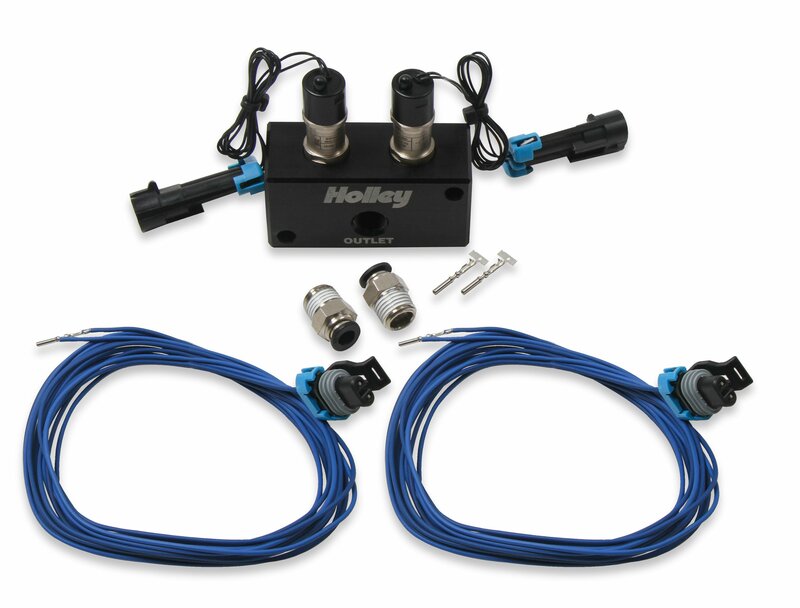 The Holley EFI High Flow Dual Port Boost Control Kit. 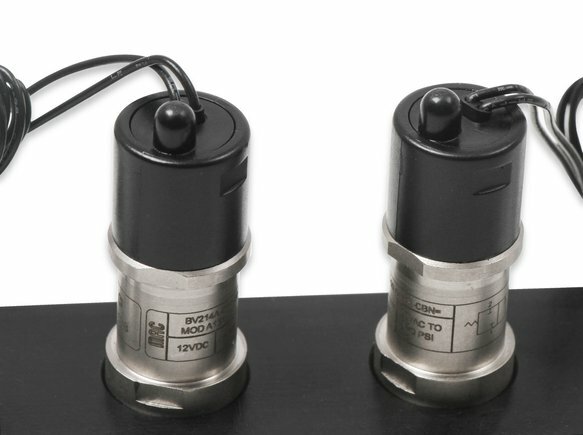 This kit contains a set of pre-installed high flow solenoids, which feature a dual O-ring sealing design, preventing any boost leaks out of the manifold. A black anodized billet aluminum manifold, with built in mounting provisions. 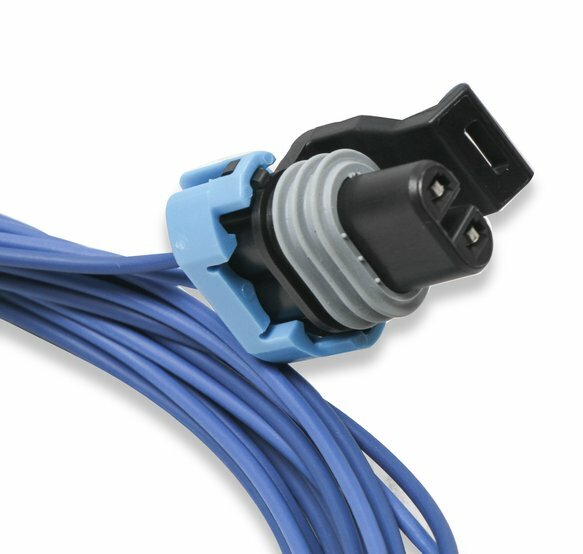 Two pre-terminated connectors for a quick installation, and extra pins for those of you wanting to cut the harnesses to custom lengths. 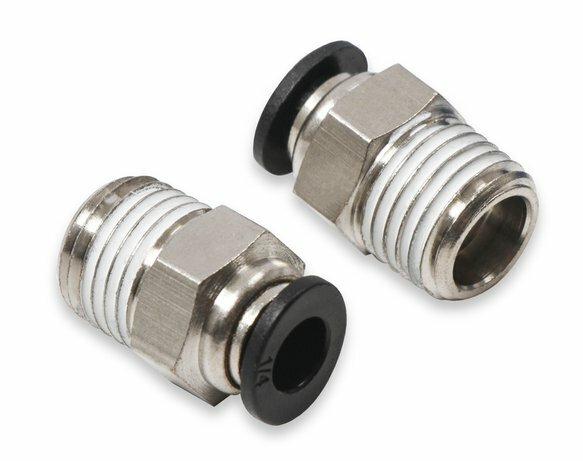 Finally two 1/4" push-lock fittings to simplifying the installation process. The Holley EFI boost control proprietary solenoid design flows nearly 40% more than comparable designs and up to 90% more than conventional 3-port boost control solenoids.